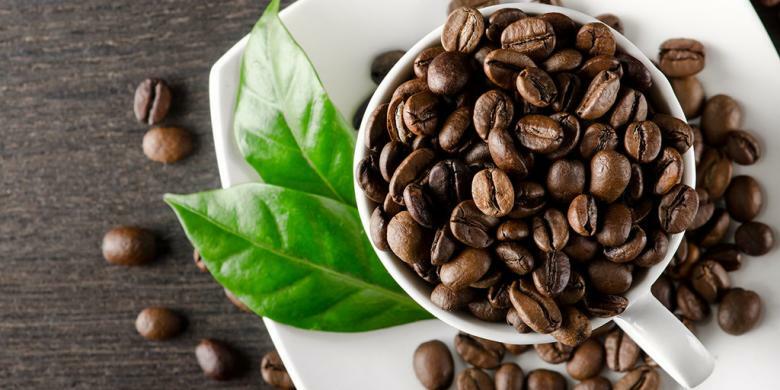 Jakarta, - The original coffee from Papua again won the Best Coffee of the Year at the Jakarta Coffee Week 2018, in Jakarta, which took place from September 28-30. No half-hearted, Kopi Deiyai ​​and Dogiyai Green Bean Green (green beans) were crowned first and second place winners. Both types of coffee come from the highlands of the Meepago region, which are managed by the Community Welfare Development Foundation (Yapkema). "We get first place not by the old method of assessment, but the new method of assessment," said Director of Yapkema, Hanok Herison Pigai, Monday (1/10/2018). Assessment is carried out by coffee experts from international and national levels, by looking at the process after process to produce coffee that is ready to be enjoyed. Pigai said, Kopi Deiyai ​​won first place on the assessment of the "honey process". While Dogiyai Green Bean Green coffee won second place in the assessment of Natural Process and Semi Wash.
Pigai explained, coffee experts from Australia and Indonesia assessed coffee brought by all participants throughout Indonesia. The coffee beans are roasted and smelled from each type of coffee. "After that they announced it, which was judged by coffee observers from Australia and coffee observers from Indonesia," he said. Pigai believes the market demand for his coffee products will be high, especially after being crowned the champion. Seeing this opportunity, Pigai plans to invite more local youth to take part in the coffee business from his region. "If we at Yapkema already use the new management planting method, therefore, we will provide training to young coffee farmers and people who actively grow coffee in the Meepago region," he said. He said, Yapkema had guided dozens of coffee farmers in three districts. In Dogiyai 25 farmers, Deiyai ​​15 farmers, and Paniai 10 farmers. "We train them with the results of selling coffee," he said. Pigai who is actively participating in the coffee festival in Indonesia believes that the coffee business is a very potential business choice. Given the type of coffee from the regions in Papua which many experts consider to be the best type of coffee, including Deiyai ​​coffee. "I and other local coffee farmers, feel this as a pride to be present at the Indonesian coffee festival to represent coffee and Papuan culture," he said. One of the connoisseurs of Meepaago Coffee, Aleks Giyai, said that he was proud that the coffee from Meepago could win. "This is the pride of the Meepago community. But this champion deserves our appreciation for farmers who are faithful in cultivating coffee so that demand continues to increase but the stock still exists so that farmers can live from their work, "he said.